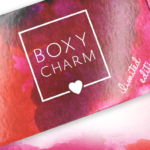 BeautyFIX March 2018 SPOILER #6 + $10 COUPON! What do you think of the latest March BeautyFIX spoiler? BeautyFix is $24.95 a month. If you sign up now, your first box will be the March box. Use coupon code MSAMARCHBFIX to save $10 off your first box! Someone below said that there would be 9 products in this box. When did beauty fix say that? BeautyFix never fails to delight. They’ve turned me onto a lot of different skincare lines that I ended up loving. I collect the rare unneeded stuff in a giant box and at the end of the year make Christmas stockings from them! Love the spoilers so far. Still not aure about the comb, but everything else is fab! I personally love that they included one thing for men. I do not have a man, nor do I want one. I buy my boxes for me. I want items for me. Not for a mythical him. It’s a one sample in a year. It’s soap, not a tie, and there are going to be 9 items in this box (all of which we have seen so far are awesome). Where did you see for homme? It is unise at best. I’m personally excited about all these spoilers. I subscribed! Geesh….what a random and strange box…..seriously a 20 dollar back comb don’t mzzke sense, when you can get one at the dollar store for 1.00 and whomever pays 35 dollars for 1 pair of eye masks has to have more money then sense…….what is going on beauty fix?!?!?!? The past 3 months have been awful….next month’s box has to knock it out of the park or I’m going to play the cancel and resub spoiler game. I also think it’s really random, especially now with the men’s soap. When you click on the link for the eye mask, it shows $35 for six masks not one. Also, erno laszlo makes some awesome products, so I am excited to try it. The husband will love it! no wonder they are giving away so many items this month….looks like they are cleaning out all the stuff they can’t sell. I’ll be searching the swap site for that soap! What is special about the soap? My son will love this. It’s good to share sub box goodies! I’m with ya there tat!! LOL! The magical unicorn 🦄 man in our lives will love this soap!! Ummm This is labeled as a men’s item on the Dermstore site. Maybe it’s detox from men?